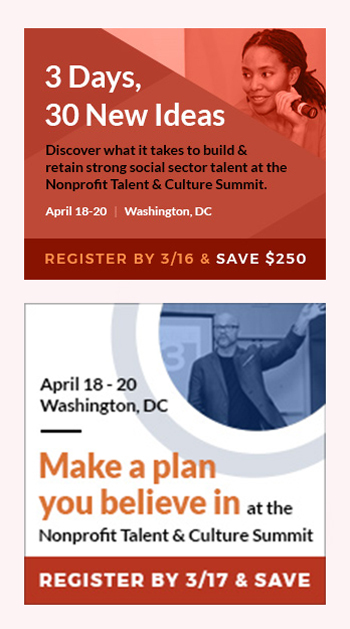 Nonprofit HR engaged with Gavilan & Associates to generate attendance for their conference, the Nonprofit Talent & Culture Summit. The marketing included testing three retargeting ads. The version, “3 Days, 30 Ideas” version generated 13 conference registrations, and the “Make a Plan You Believe In” version generated two. This was the first time the client successfully used retargeting.